I feel that way as I sit down to write this post. I really have no idea what all I am going to say about this subject, but I can hardly wait to find out. On Tuesday, May 10, 2011, The Rt. Rev. +Roger Ames, Bishop of the Anglican Diocese of the Great Lakes, laid his hands on my head and ordained me for ministry as a priest in the Anglican Church in North America. It marked the culmination of a five-year transition from a lifetime of ministry in the Free Church tradition (more than twenty-five years among Mennonites) into Anglicanism and the liturgical tradition. Shirley and I attended worship in an Episcopal church (St. Matthew’s in Westerville, OH) for the first time, in July 2006. At the time, I was heading into my thirteenth year as a member of the faculty at a small, Mennonite Bible college located northwest of Columbus. It was not our first experience with liturgical worship, but it did represent a turning point. From that moment, we became aware that our spiritual pilgrimage had taken a dramatic turn which would ultimately yield life-changing consequences. By the time we had attended services at St. Matthew’s off and on for more than a year, we knew that we were “hooked” on liturgy. (I have written, in earlier blog posts, about the profound effect of liturgy on my spiritual life at a moment when, owing to my circumstances, I was close to abandoning organized religion altogether.) 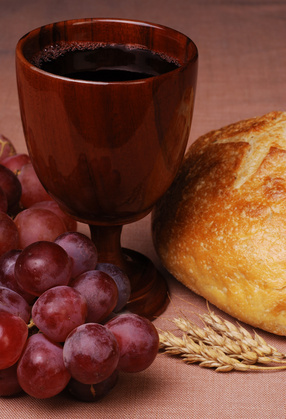 We knew that we could never return to a pattern of worship that did not include the liturgical elements which we had come to appreciate so deeply, especially the weekly celebration of the Eucharist or Holy Communion. We received the Sacrament of Confirmation in April 2009. Within a few months, I embarked on the process of preparing for Anglican Holy Orders and was ordained a (Transitional) Deacon in February 2011. Not quite three months later, I was ordained a Priest. Along with conferring Holy Orders, Bishop +Ames commissioned me to plant a new church west of downtown Columbus, OH, in the vicinity of The Ohio State University. That remains our goal, although our progress toward the goal has been incremental, at best, for reasons I have outlined in earlier blog posts. Compared with my experience in ministry in the Free Church tradition, my time as an Anglican priest has, so far, been enigmatic—as fraught with discouragement and frustration as it has been satisfying and rewarding. Irony abounds. For example, had the Episcopal Church been our only portal to the liturgical tradition, we would have long since retreated from this path. I would never have been ordained an Episcopal priest. But the phenomenon which has made it possible for me to identify with Anglicanism—namely, the emergence of an orthodox and Evangelical province known as the Anglican Church in North America—has also resulted in ex-Episcopal parishes which are top-heavy with clergy, financially overburdened, and so locally and inwardly focused that there is almost no environment in which a transplant such as myself, with no network of contacts and no personal resources, can take root and flourish. And so, I haven’t quite found my “niche” as an Anglican priest, but I have no doubts that, as I followed the winding and arduous path to Holy Orders, I was led by God every step of the way. As my grandfather might have said, I may not yet be in the right row, but I’m sure I’m in the right patch. So there you have it… my reflections on my first year as an ordained Anglican priest. There is always more to say, but I think this is enough for now. I said, at the outset, that I could hardly wait to read what I was going to write on this subject. Having now both written and read it, I am glad I have done both. And I thank you for sharing the experience with me. Soli Deo Gloria. This entry was posted in Anglicanism, ministry, spiritual pilgrimage, vocational ministry and tagged Anglican Church in North America, Anglicanism, call to ministry, Holy Orders, spiritual pilgrimage, vocational ministry by Eric Kouns. Bookmark the permalink.